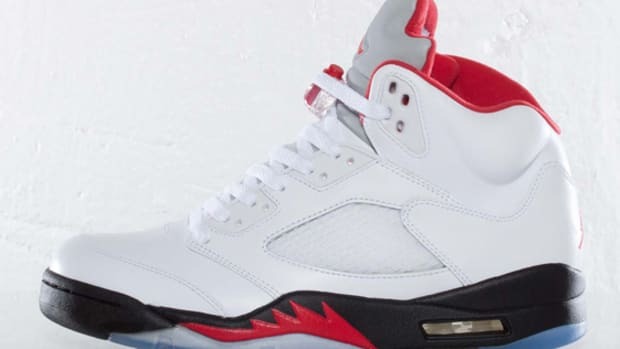 Tomorrow sees the return of the Air Jordan V Retro in White/Fire Red-Black, the silhouette that launched a question for the ages: "Is it the shoes?" 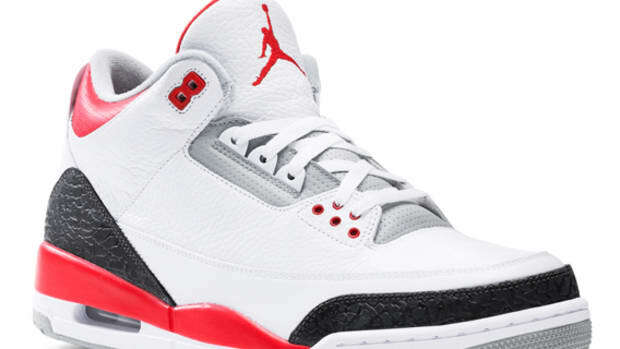 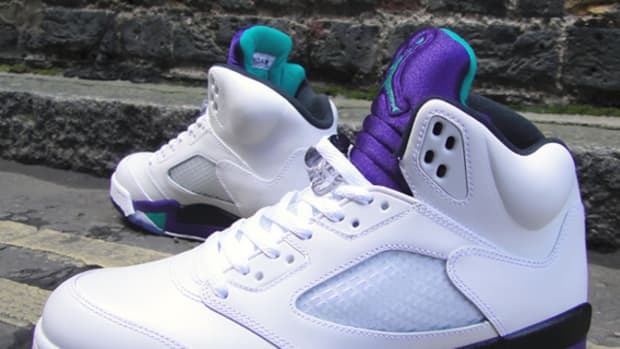 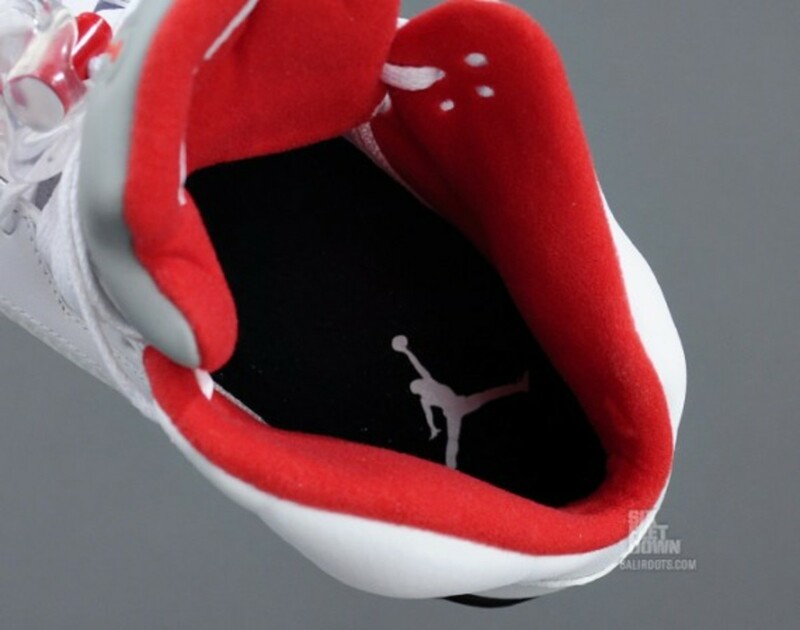 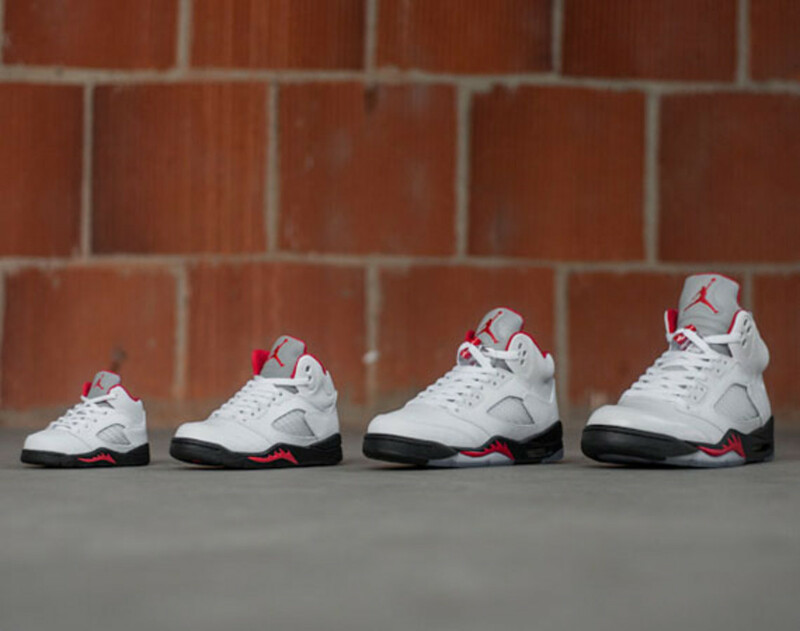 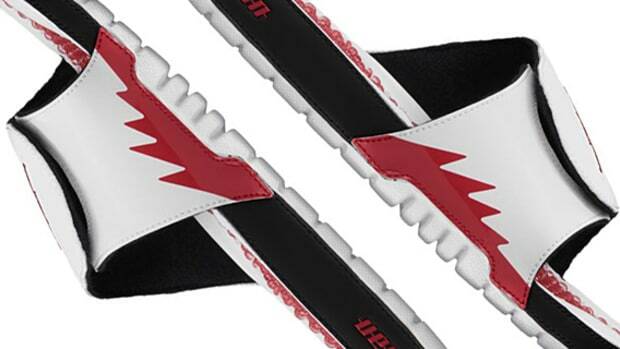 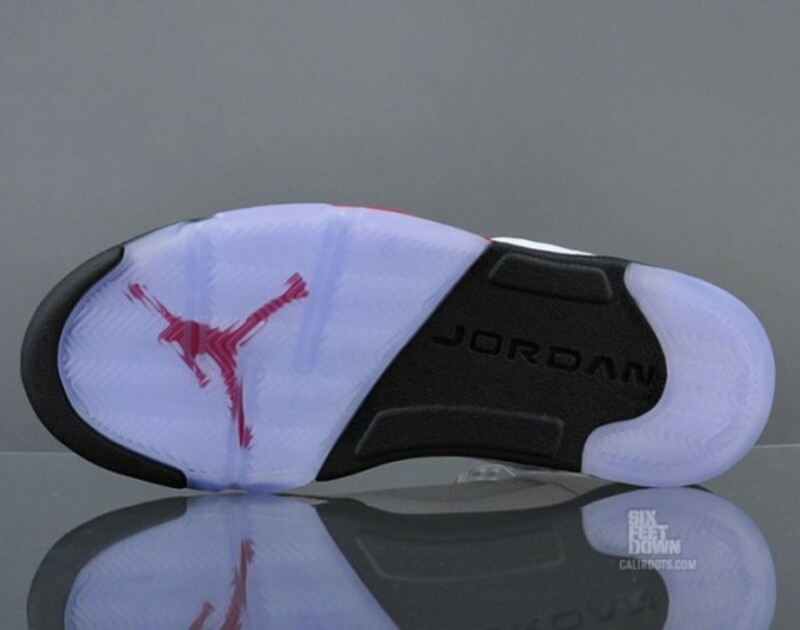 They were certainly special, using reflective materials and icy soles for the first time ever on an Air Jordan model. 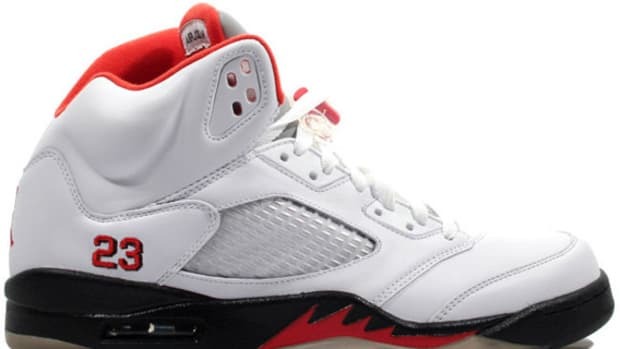 It last appeared in stores back in 2008, as part of the Countdown Pack, but it hasn&apos;t seen retail as a standalone release since 1999. 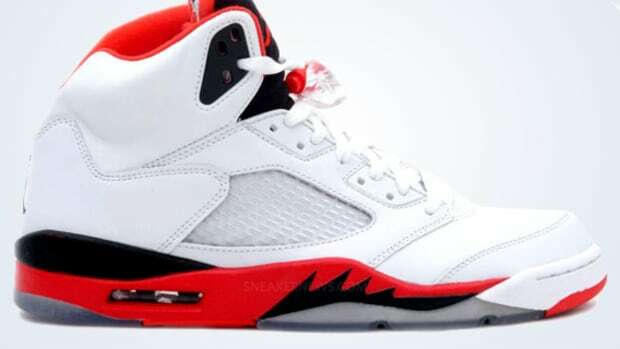 2013 marks the 23rd anniversary of the Air Jordan V, so it&apos;s no surprise that the shoe is now set to make its triumphant return. 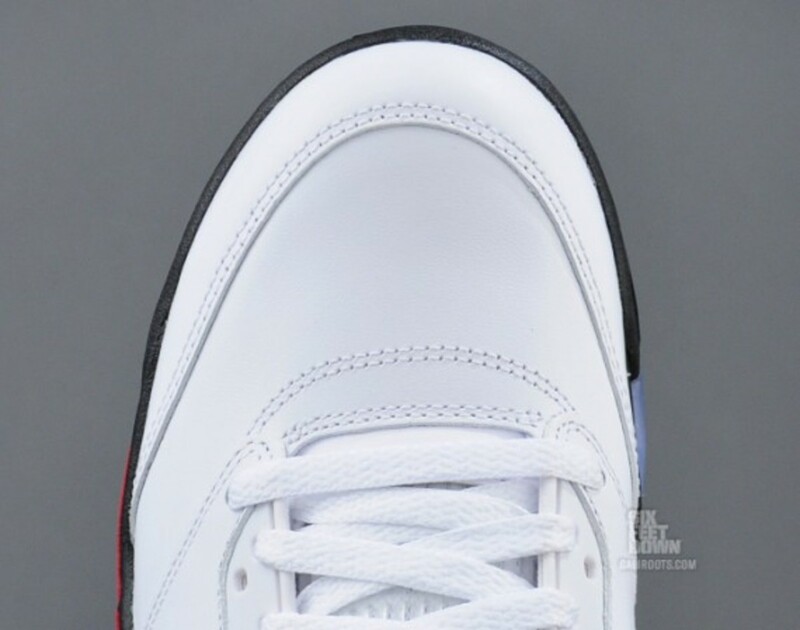 It drops tomorrow at Jordan Brand retailers like L.A.&apos;s Undefeated (or get them now from Caliroots&apos; Six Feet Down online store). 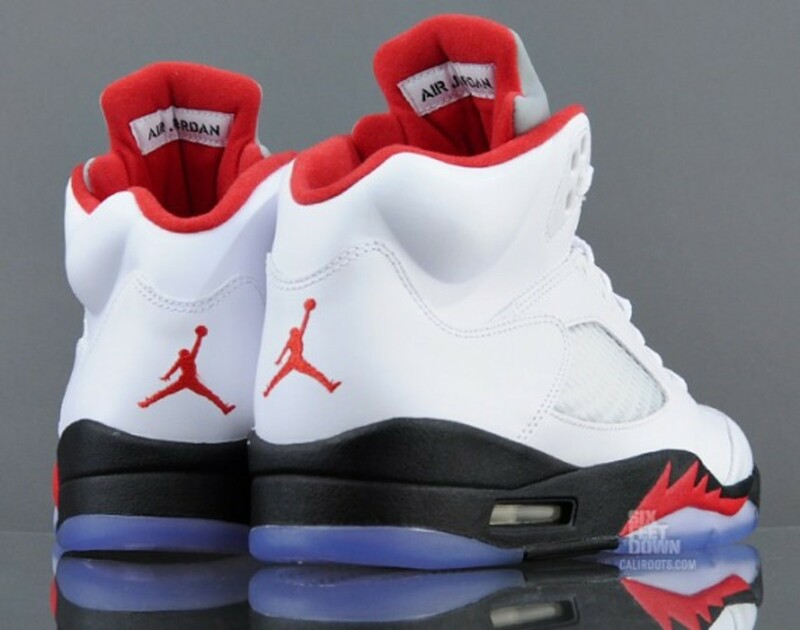 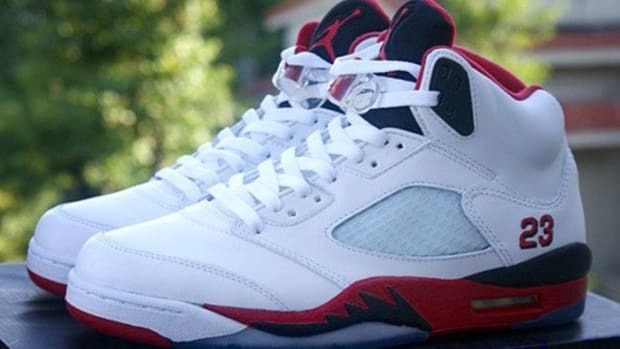 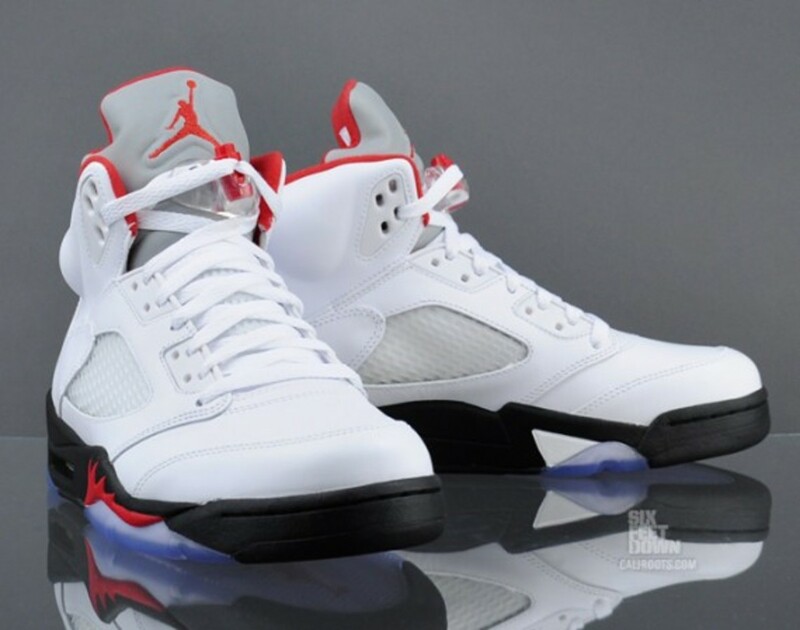 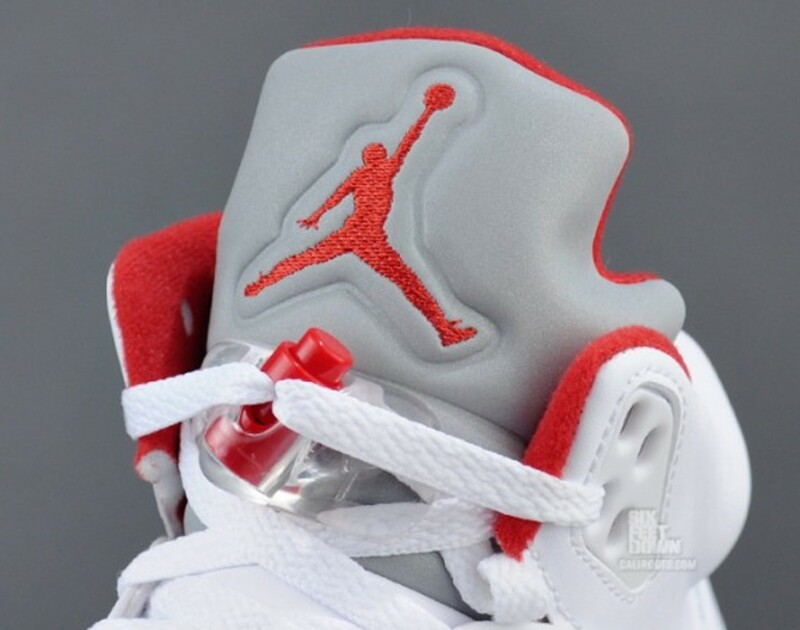 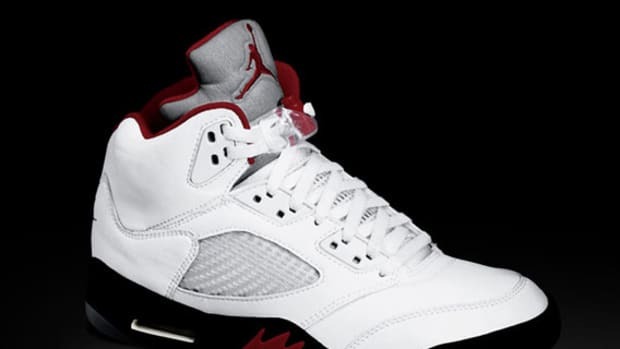 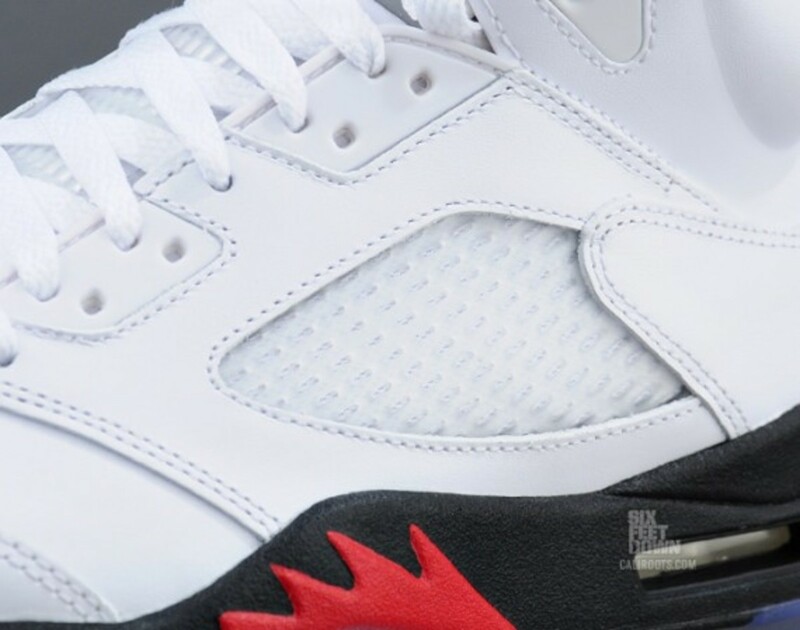 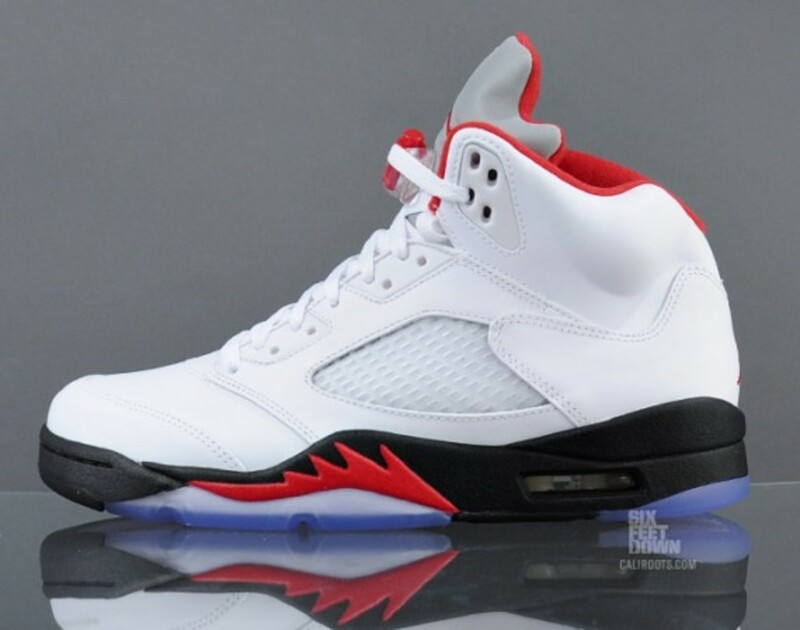 Air Jordan V Retro - "Fire Red/Black Tongue"
Jordan Hydro V Retro Slide - Inspired by Air Jordan V Retro "Fire Red"